Kukës (Albanian: Kukës) is a town and municipality in northeastern Albania. It is the seat of Kukës County. It was formed at the 2015 local government reform by the merger of the former municipalities Arrën, Bicaj, Bushtricë, Grykë-Çajë, Kalis, Kolsh, Kukës, Malzi, Shishtavec, Shtiqën, Surroj, Tërthore, Topojan, Ujmisht and Zapod, that became municipal units. The seat of the municipality is the town Kukës. The total population is 47,985 (2011 census), in a total area of 933.86 km2. The population of the former municipality at the 2011 census was 16,719. Kukës is applying for the 2018 European Green Leaf Awards. The winners will be announced in June 2017. The old Kukës was located at the confluence of the White Drin and Black Drin. In 1976 the town was submerged beneath the Fierza Reservoir, which is held back by a Chinese-built dam. The new town (Kukësi i Ri - "New Kukës") was built in the 1970s in the plateau nearby which is 320m over the sea level. Kukësi i Ri is surrounded by the artificial lake of Fierza and it looks like a peninsula from the above. It is linked with the other parts of the country by three bridges. On the east it faces the snow-covered mountain of Gjallica, 2468 m above sea level. The district is impoverished, with poor road connections, and major problems with crime. Illyrian tombs were found at Këneta and Kolsh nearby Kukës. It was a small Roman settlement, a stopping point on a branch road leading to the Via Egnatia, and a minor Ottoman market centre and trading post on the road to southern Kosovo. It was there (Qafa e Kolosjanit) where Albanian resistance stood up against retreating Serbian army in 1912. Kukës attracted international attention during the Kosovo conflict when 450,000 Kosovo Albanian refugees crossed the frontier and were housed in camps in and around Kukës. This led, in 2000, to a nomination for the Nobel Peace Prize. It was the first time a town was nominated for the prize. In bad weather Kukës can be dramatic, with huge threatening cloud formations over the Vikut Mountains, and the sparse streets of the little town and the lake, subject to violent gusts of 'Bora' snow. The Highlanders in the region are well known for their developed agriculture. Kukës has a carpet factory whose products is for domestic and trade use. There is also a copper processing factory as the raw material, copper, is found in this place. 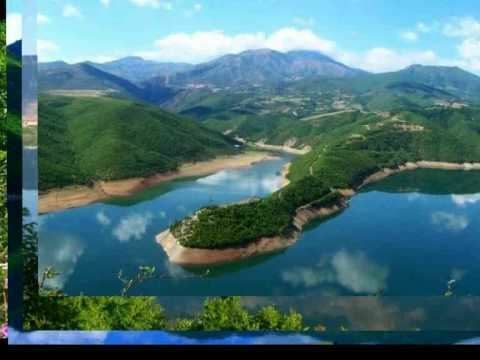 Kukës is a good centre for fishing and walking in the surrounding mountains. Kukës has an international airport of its own. It is located approximately about 3.5 km (2.2 mi) south of Kukës city centre. The government of Albania granted permission for it to host international passenger traffic in 2016. Low-cost companies like the Irish Ryan Air and the Hungarian Wizz Air, as well the Slovenian Adria Airways have expressed their interest in operating from the Kukës International Airport. The A1 highway passes through Kukës.